It's that time of year again! The time for jackets, tights, and scarves, bonfires, and the sound of fallen leaves under your feet! It's FALL! While I might not have much of a fall in the South, I try to make the best of it (mostly through the use of a powerful air conditioner).This season I have been really into the darker colors like black, navy, burgundy, and camel. A couple of trends I really love this year is the mini skirt which is a 70s statement I think deserved a comeback. 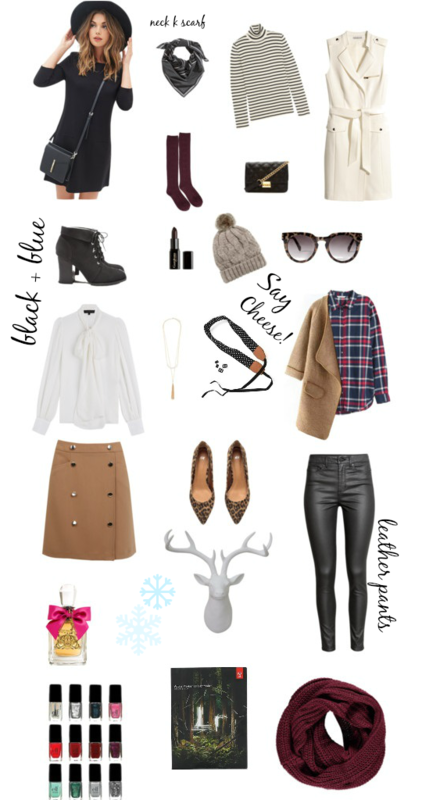 What are some of your favorite fall/winter trends this season?